Doing what the voices command me to. 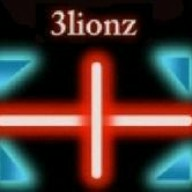 3lionz!! Now a Dev! :D Good Job dude! for the record, I still can't join #spektrum. It still crashes my IRC. Eh. Bored. Lots of bored. Shiny new look on LTS... I like shiny. Yawnage. I just realized that despite player hosted servers coming out, someone else will have to host for me \o/ Thanks, internet. Fissurez Chainscript. Yep. Thats what I have been working on all this time. Honest. Really needs to get scripting... but why cant I be bothered? make sure to not enlarge the photos. only replace them as the zoom goes up or down... i think. Is this how it works? because i don't want the stages to be stretched or disorted, just the same exact file size. Take your time:) the community can wait, we did for this game! First off, thanks. As for a script repository, I need to tread carefully. Installing "mods" from any untrusted source (non-devs) is always a risk, I would need to make it VERY clear to users that instaling mods from untrusted sources is a BAD idea. Ty for the offer. Generally I like being able to just code without having to rely on others. I find I learn better that way. As for java, I would like to learn... But that will have to wait. As for torque, I want to see if there is an good/free IDE available. Have an idea/improvements for a script?